Budget is located in China Town, one of the best areas in Sydney. China Town is alive 24/7 with people, more bars than you can count within a very short walk and sites that are a must see on your travels in Sydney. We are 5 minutes walk from Darling Harbor where you will find the aquarium and wildlife world (both highly recommended). We are on George Street so all you do is turn left when you walk out the door and keep walking until you fall in the water and your at Circular quay (25 mins walking but being a tourist it will take a lot longer because there is so much to see), you will find the Opera House and Harbor Bridge and the historic Rocks area. It was good, pretty quite place even with the road works out the front. 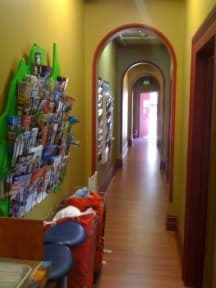 The best thing about this hostel was definitely the location; it was pretty much in the center of everything: Central Train Station, buses, international restaurants/bars, St. Peter’s Catholic Church, grocery stores, markets, and few blocks away to Darling Harbor, just to name a few. Mary, Leo and Johnnie (receptionists) were all well-mannered. I might not like the room because it was too cluttered, too hot and too many roaches but still I enjoyed the company of my three (3) roommates. You get what you pay for, perfectly adequate but a bit dirty without great facilities. Do i really need to explain. Seriously, rudest woman at reception. Smells weird. Not enough toilets or showers. The room was disgusting and ridden with roaches, left overs everywhere, the fridge was full of old, mouldy food; weeks past it’s date. As a result of this the room stank. 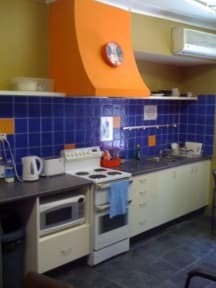 The kitchen area wasn’t much better. The hotel staff were not helpful and refused to give us the WiFi code even though it states there is free WiFi. I would give a lower score but the building seemed fairly secure and the location was close to central. There are nicer hostels in the area for a similar cost. DO NOT STAY HERE. Holes in the walls, bed bugs, not cleaned well at all and only 2 bathrooms in the whole building. Security:, the long term stayers insist on propping the doors open day and night. Staff: the rudest people I've encountered so far in Australia. Never have your mail sent there it will go missing. It's cheap but not worth it, spend an extra couple of dollars and stay somewhere else.